Feng Shui practitioners have recognized the power of ammolite and accordingly Feng Shui Master Edward Kui Ming Li has declared ammolite 'The Most Influential Stone of the Millenium'. By wearing ammolite jewellery you can harness the power of this rare and unique gem to bring harmony and prosperity to your life, home and business. Read on to learn about the feng shui colors of ammolite and how they can have a positive effect on your life. 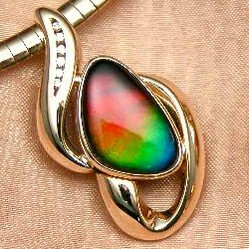 Image: Ammolite Jewelry adapted from Hadal , used under CC 3.0. Feng shui is the ancient practice of creating balance and harmony in the body and in one's surroundings to promote health and good fortune. Feng Shui is an art that was developed in China and has been utilized for over three millennia. 'Feng', translated as 'wind', and 'Shui', meaning 'water', is based on the principles of yin and yang, the five elements, and on the concept of Qi (pronounced 'chi'). The Five Elements are wood, air, fire, water and metal. Yin is described as feminine, black, moon energy, passive, calming and darkness. Yang is the polar opposite and is described as masculine, white, sun energy, active, vibrant and light. Qi refers to universal life energy and flows through the earth and and its inhabitants. Qi can be blocked if yin, yang & five elements aren't in balance. 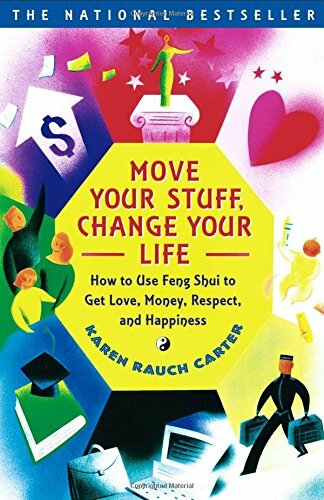 In order for optimal flow of energy and positive feng shui, Qi needs to flow freely and the yin, the yang, and the five elements need to be in balance. Red is a powerful Feng Shui colour that stimulates growth and expansion, abundance and passion. It represents the fire element and is associated with the Yang. Orange is also a fire element associated with yang, like red, but it is less intense and imparts a social aspect. Orange promotes a thriving libido and stimulates creativity. Yellow is a yang Feng Shui colour. Strong yellow colours represent fire while pale yellow colours represent the earth. Yellow is a happy positive colour associated with wealth and prosperity. Green is yin Feng Shui colour that represents the wood element. Green promotes calm and balance. It represents growth and vitality making it a great colour for wisdom and boosting entrepreneurial skills. Blue & indigo are yin Feng Shui colours that represent the water element. They have a calming and soothing effect that promotes peace, trust and are beneficial to good health. Violet is a yin Feng Shui colour representing fire and is often associated with nobility, spirituality and wealth. Wearing purple promotes physical, mental and spiritual peace and health. It took seventy million years for the ammolite gemstones to form deep within the Earth. During this time they absorbed powerful cosmic energy from both the Earth and the Universe. Because some ammolite gemstones reflect the seven feng shui colours it has earned the gemstone the name 'Seven Colour Prosperity Stone'. Wear ammolite to stimulate the flow of Qi, reduce toxicity and promote good health. Place ammolite in your home for prosperity and a happy family life. 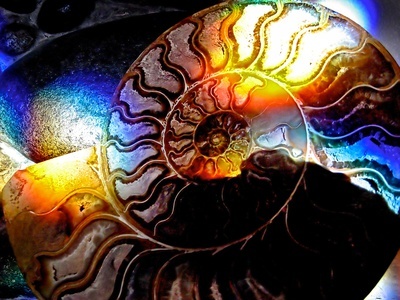 Ammolite in the office will bring fortune and a positive outcome in your business ventures. The facts and history of ammolite. I like this. Specially the part about the colors. I have always been very interested in Feng Shui and have wanted to arrange my home as such. I am not so sure that is possible with 4 kids. Maybe as they get older I can attempt it. Your article was very informative.